Cups - Our performance in the cups were given the lowest priority, we bombed out in the first round of each this year. Not worth a screenshot. League (Final Table | Results) - Our debut season in the Ladbrokes Premiership and it went pretty well. An opening game against Rangers who had a 32 year old Romelu Lukaku playing for them was a tough start. We were quite lucky in that a few away games were re-arranged in the early part of the season and this allowed us to pick up a few home wins. When the pile up of away games came around (6 out of 7 at one point), our form was poor but we already had points on the board. With any league that only relegates one team automatically, you only have to be better than them. So I was quite happy to see Ross County floundering for most of the year. Our best wins came against Aberdeen who we managed to beat 4-0 and 4-1 surprisingly, whilst a 7-1 defeat at Celtic was a low point. We had 38 points when the league splits and had almost guaranteed safety. Despite losing the final 5 games in a row, we had done enough to finish 9th. A really good intake this year and I think we have welcomed our first superstar to East Kilbride. Dylan Waddell (YP09b) A player who could make a great impact, will be playing as an inside forward mainly, can't wait to see how good he can be. The best player we have brought through in 9 years. Kenny Quinn (YP09c) A well rounded centre mid, we lack depth in this position so he will be making first team appearances next year. 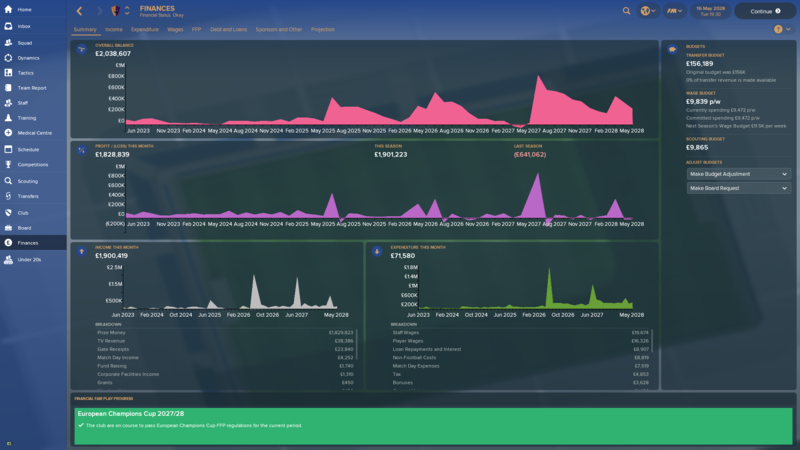 We received 1.5 million for finishing 9th and across the season got 850k in tv money, so things are looking secure. We managed our first training facility upgrade for a while. 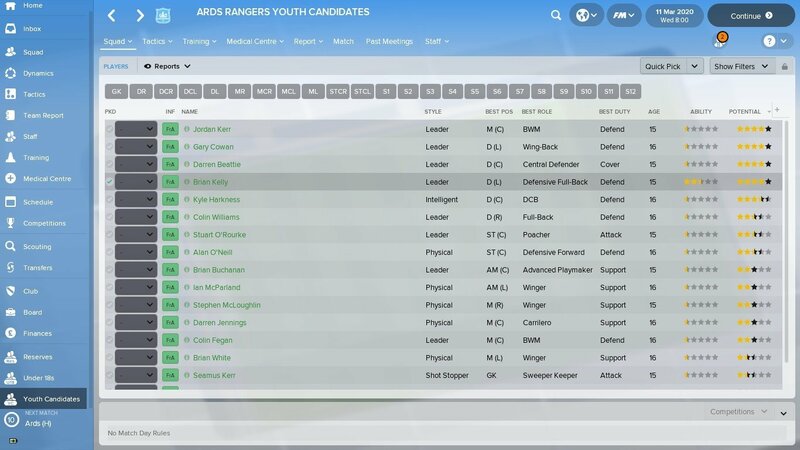 We added youth recruitment and junior coaching upgrades, which has put us in a really good position. We also moved back into our stadium after the small expansion. No real transfer drama this season, a couple of the best players still ask about moving to bigger clubs, but are easily appeased. Celtic enquired about Dylan Waddell (YP09b) which is a worry but we should keep him for while at least. Two league titles the last two years, so of course I want another one. 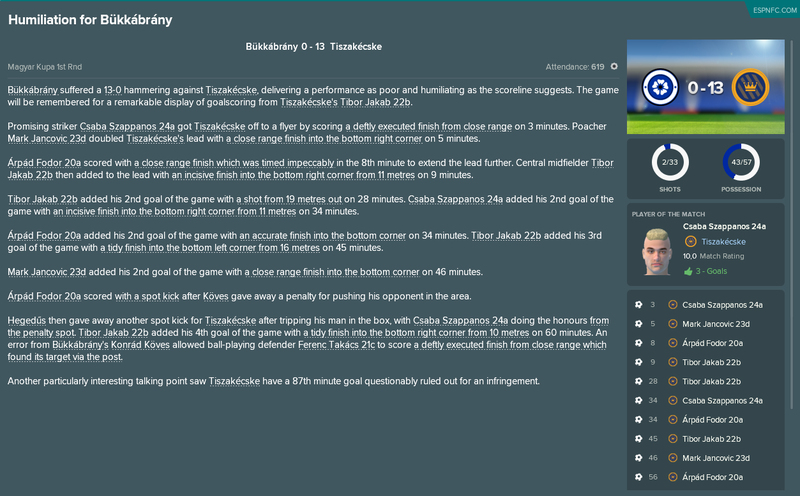 We started with a blast and won our first 11 games before we had a very poor game away to Videoton and lost. As it turns out it was one of 2 losses in the league the entire season. With only 2 draws as well, the league was never in question. We sat lots of new records and it seems the domestic league should be a walk in the park from now on. 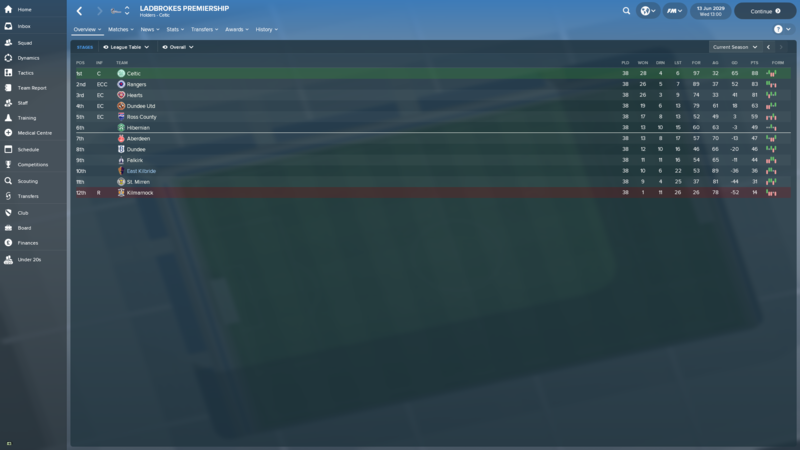 In the Magyar Kupa we beat Baja, Körmend, Ajka, Ferencváros, Budaörs and Újpest to get to our first cup final. Here we beat Videoton 4-3 after leading 4-0 at half time. A red card at the start of the second half almost let them back in it, but we held on to claim our first cup win and to complete a domestic double. We also had another go in Europe this season. We started in the Champions League 1st qualifying round against Vardar Skopje of Macedonia. They got thumped 5-1 at their ground, before we continued the rut in a 7-0 win at home. In the 2nd round we drew Hapol Be'er Sheva of Israel. Away we once again hammered them 5-0, but in the return leg we failed to find the net and it ended 0-0. In the 3rd qualifying round we drew Dinamo Zagreb of Croatia and they really destroyed us in the first leg in Zagreb. We lost 4-0 after a horrible display, and in the home leg we only managed to get 1 goal and it finished 1-0. So of to the Europa League for us then. We drew Qarabağ of Azerbaijan. Away we lost 2-3, but two away goals were still good. When we managed to beat them 2-0 at home we were through to the group stage. Here we drew Standard Liège of Belgium, Roma of Italy and Braga of Portugal. No the worst draw we could have gotten, but still a very though ask. 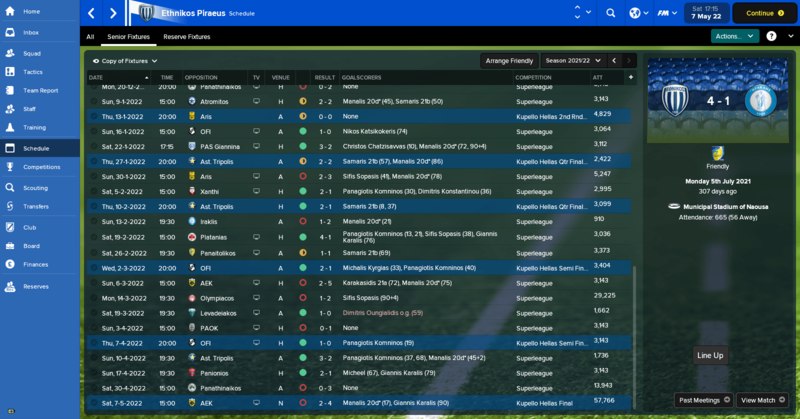 We managed to win two games (including 8-3 away to Braga!) and a draw to finish in a very decent 3rd place in the group. Very close to going through, and a very good showing from the young players. Another improvement on the facilities are completed and yet another one approved. 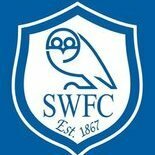 The board are planning a new stadium, but no news yet. I don't have any options from improving coaching or recruitment, but I'm checking regularly. I'm also working on my continental pro licence so almost done with that. The youth intake this season was pretty decent, with a very good player in Attila Debreceni 23a. 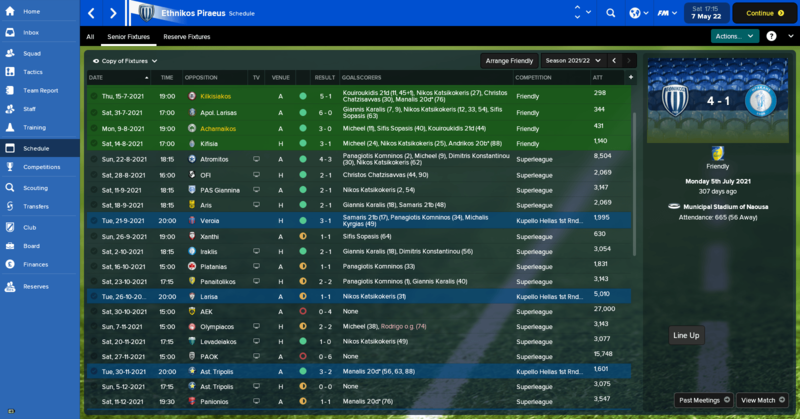 TLDR: A great season - promotion, good performances from young players, and a nice looking intake! League: the team and the tactic were the same as last year, but we came running out of the blocks this time, and established a healthy lead at the top by middle of the year. Our form started to dip towards the end but we still got easily promoted. 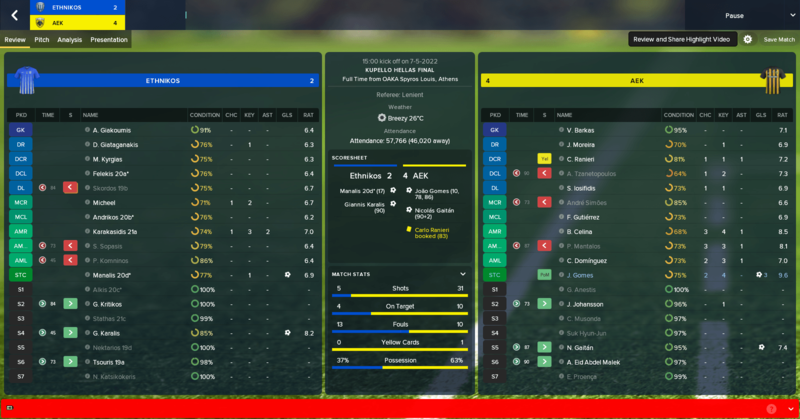 Our defense was the star of the show, as we conceded the fewest goals in the league – I think a first for me on FM18. I’m not quite sure what happened compared to last season, maybe the squad dynamics kicked in, and I guess the youngsters were improving, and it all came together somehow. French Cup: unlucky to lose on penalties to Ligue 2 Strasbourg in Round 9. Star players: A chaning of the guard, of sorts – it was really the youth that shone this season. 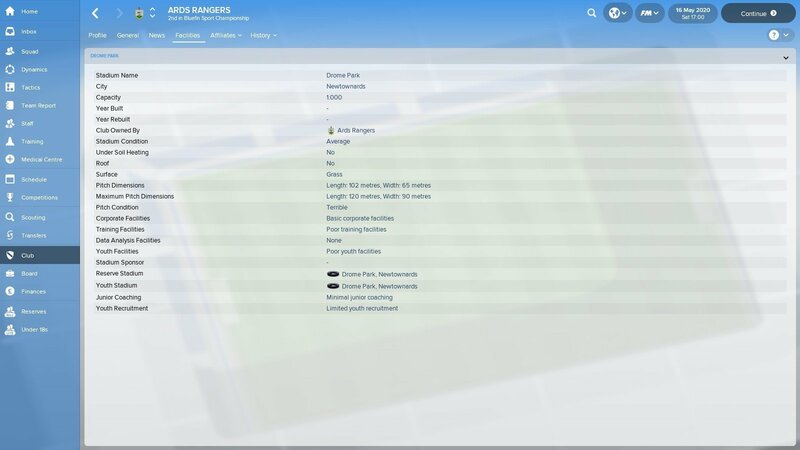 I gave some games to a few young strikers that were knocking about in the reserves, but they played really well and soon became regular starters for us. Hakim Valade (AMR/ST) finished my top scorer with 24, and Robin David (AMR/ST) topped the assists with 13. One of the older players Thomas Manzinali (DC/DR) was key to our watertight defense. Youth watch: Most of the players from the last intake are too young to play, but I managed to give Brian Mougin 20d (DC/DL) some game time, and my reserve goalkeeper John Jacquet looks ready to challenge for the first team next season. Youth intake | Toufik Salah 21a | Jocelyn Gay 21b | Ian Jacques 21c | Georges Schmitt 21d. 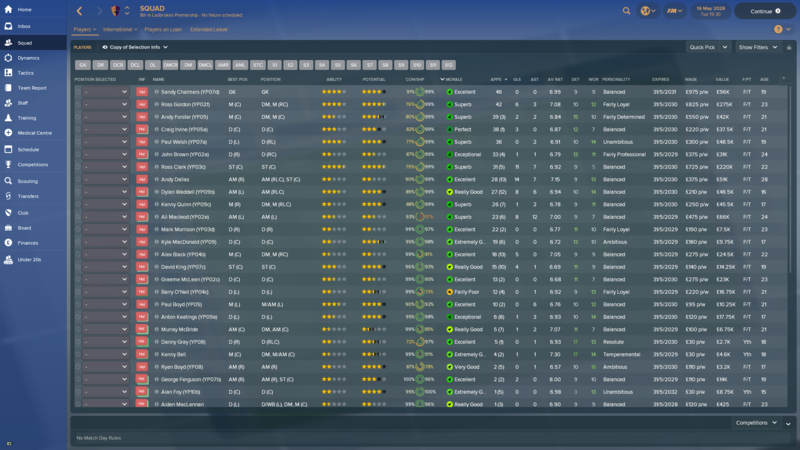 A great-looking intake, and for once I think talk of the golden generation seems justified. Salah and Gay look the pick of the bunch, but I also really like the look of Schmitt, who only has 3* potential but all the attributes are in the right places. 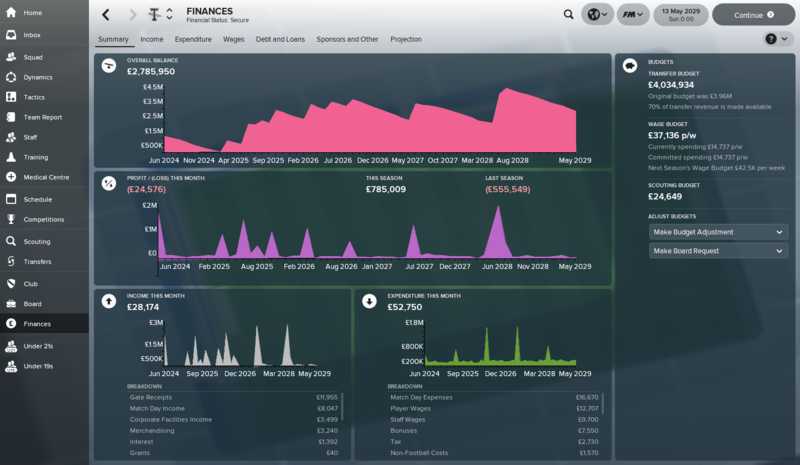 Finances: stable through the season but now a measly £45k after all the league bonuses and sponsorship deals, because I spent the money on a £750k training facility upgrade. 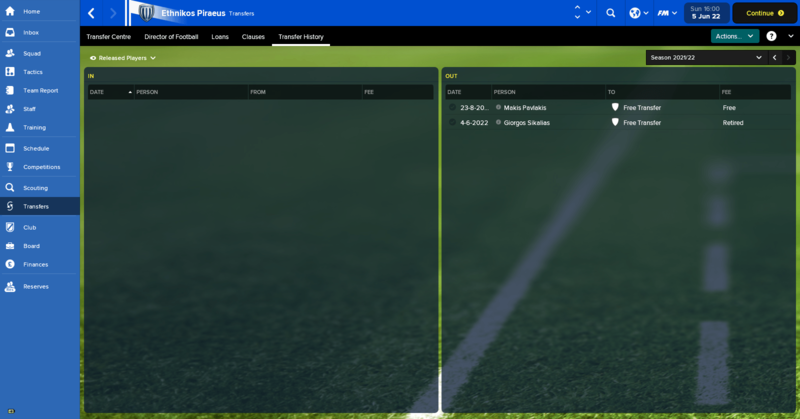 Hope Ligue 2 brings some cash in next season, my wage bill is super low, but not sure if I can afford to upgrade coaching and recruitment again. 2019/20 |  National |  1   |   R9    |   n/a       |     n/a     |    Valade (24)          |  David (13)          |    David (7.6)          |  Promotion! Once again we won the league comfortably. Two losses as last year, but 4 draws was more than last time around. Every once in a while we are having some very poor matches, and it's something I'm working on trying to remedy. 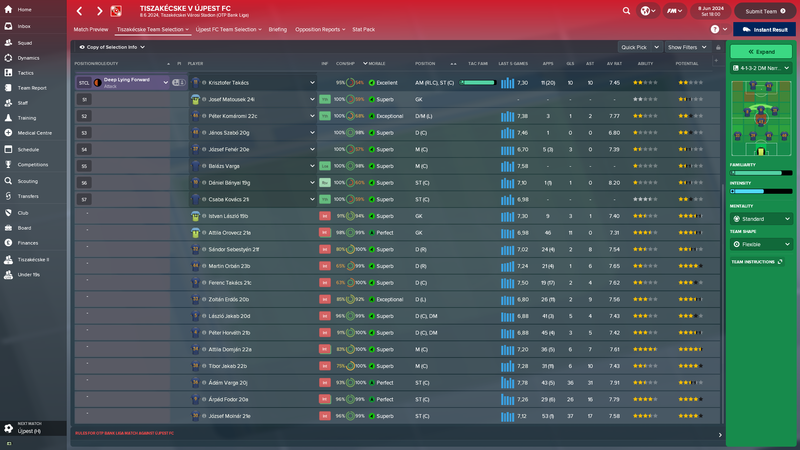 I'm tinkering with tactics this season, and some of them might be a result of it. In the Magyar Kupa we beat Balatonlelle, Tiszakanyár, RSKS and Szombathelyi Haladás before losing to Vasas in the quarter final. A horrible 3-0 away loss in the first leg was the sole reason. One of the poorest games we played all season. We also had another go in Europe this season. We started in the Champions League 1st qualifying round again, this time against Hibernians Paola of Malta. We crushed them 11-0 and 6-0 to get to the next round. Here we got Hammaryby IF of Sweden. A 2-1 win at home was followed by a 2-0 win in Sweden. In the 3rd qualifying round we drew Legia Warszawa of Poland. We won 2-1 away and followed it up with a crazy 8-4 win at home. It was one of those games where every chance went in for both sides. In the playoff round our opponent were Celtic of Scotland, a team we have beaten before. We drew 2-2 at home, and 1-1 away to be knocked out on away goals. This gave us a pass into the group stage of the Europa League. Here we got Gladbach of Germany, Austria Wien of Austria and Internazionale of Italy. Our only loss was away to Inter, while we managed a draw at home. Both games against the Austrians were won and a win and a draw to Gladbach gave us a very solid 2nd place in the group. In the 1st knockout round we got Ajax of Holland. We actually managed to beat them 4-2 at home, but then got utterly crushed 8-0 in Amsterdam. I can't really explain it, but we just didn't show up. It's a lesson for us, if we ever feel comfortable again I need to slap it out of the players. We are still working on our approved facilities, and they should be finished this season. The new stadium will be finished at the end of the following season, so that should be fun. 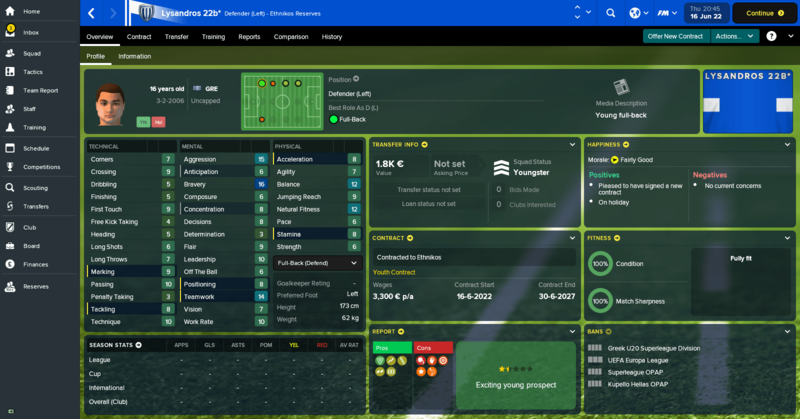 I'm finished with the licences, and I don't have any possibilities of improving neither youth recruitment nor youth coaching, so I think I might have maxed it, unless it's reputation based or something. I'll keep checking. The youth intake this season was ok with one exciting player. 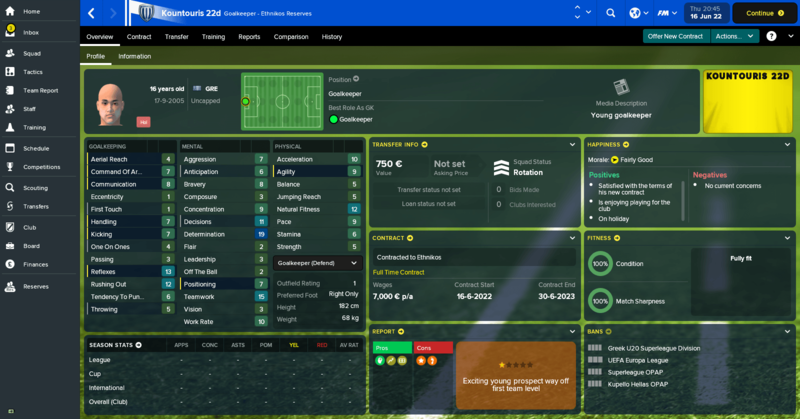 Csaba Szappanos 24a is a talented striker I'm making part of the main squad. 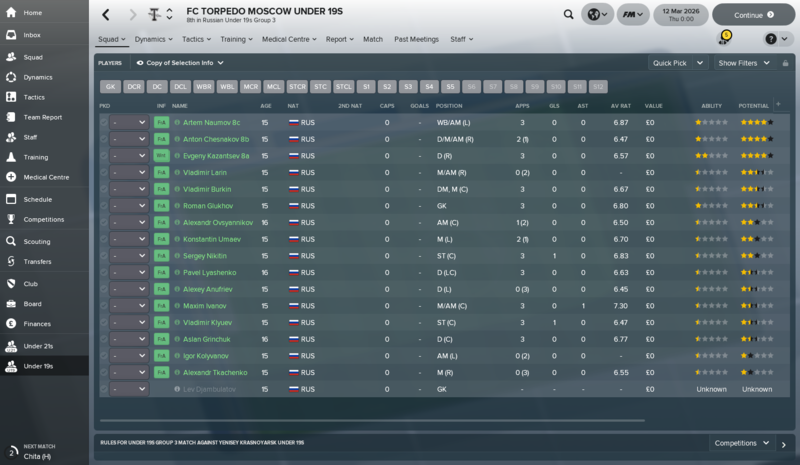 Season 7 with Torpedo Moscow done. League & Cup - The best season for us as we finished as high as 5th in the Superleague and reached the final of the Cup for the second consecutive year. 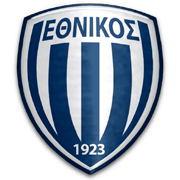 We started up in force (fixtures1, fixtures2), but in the end it was a hard fought battle with Asteras Tripoli and Atromitos, but we cliched the last European spot, so will be competing next year in Europa League. We were not so lucky in the Cup final, losing again against AEK, with a scoreline which doesn't reflect just how bad we really were. Squad & Transfers - A shift of generation in the squad this season as our youngsters are beginning to get more and more game time. We also have three young players in the team of the season, including this season's top goalscorer. Two players leaving us on free transfers. Facilities - Finally we got the board to upgrade youth facilities, something we wanted to do for some time. Not a very cheap upgrade though, but we are pretty sound financially and it goes well together with the youth development budget upgrade. The annual upgrade of our stadium happens again this season, which is kinda annoying. 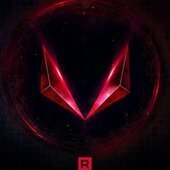 Hopefully we reach the max 5k soon and it will be all over for some years, until we have enough for a completely new one. 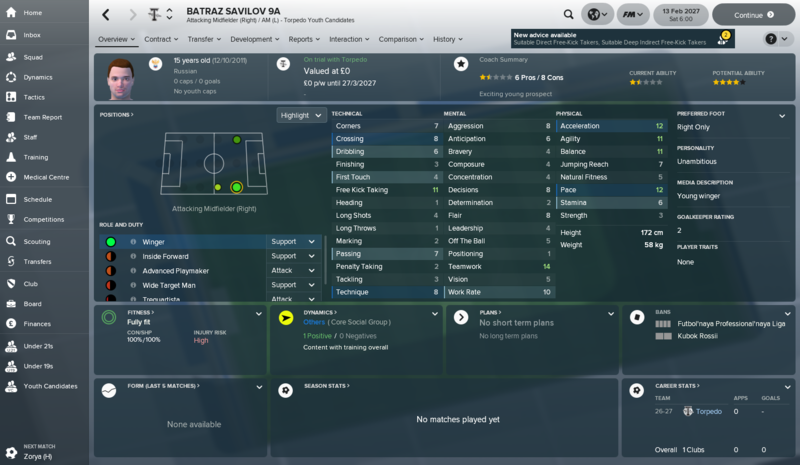 An interesting partnership in Hungary with a team with high youth facilities could bring some interesting results in the future. 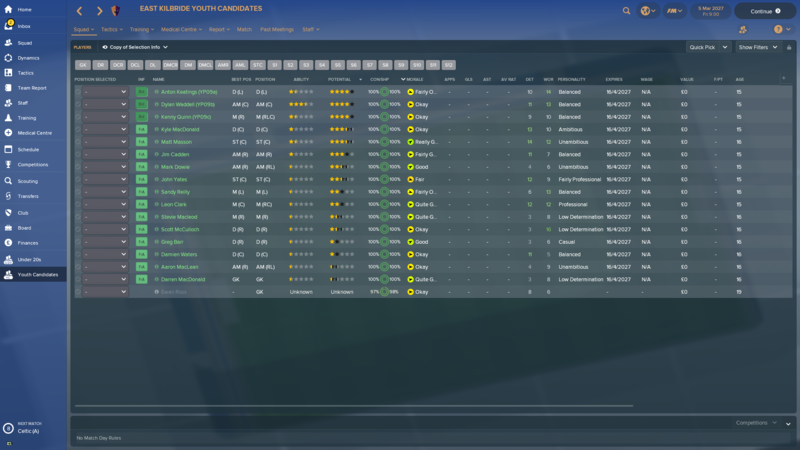 Youth Intake - Solid intake this season as I think that all five players we got have what it takes to get some game time in the future for us: Moritz 22a (dual German nationality), Lysandros 22b, Partheniou 22c, Kountouris 22d, Amarildo 22e. Next season - Reach Europe again. It's been a while since my last update! Once again we went the whole season unbeaten and also winning every game. 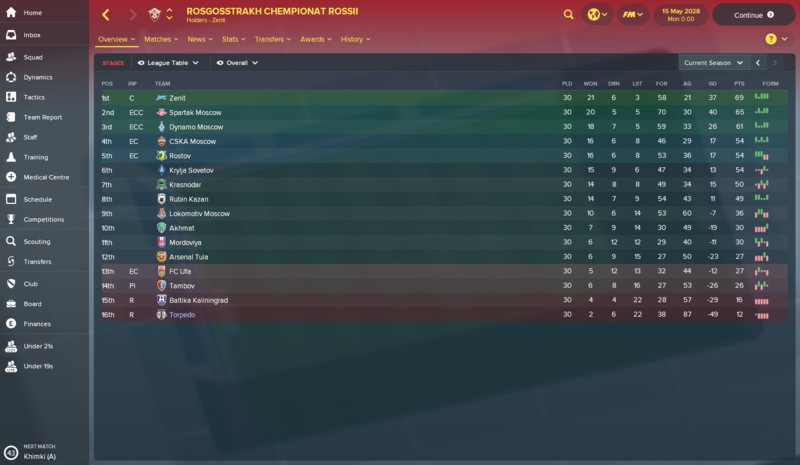 Finished third in a tough group, nearly did enough to qualify but it was into the Europa League for us. Shakhtar were pushed aside however Tottenham were too good. A few changes with players leaving. Still strong and our facilities are always improving because of it. Just had this offer, very generous, nice sell on clause as well, sold! 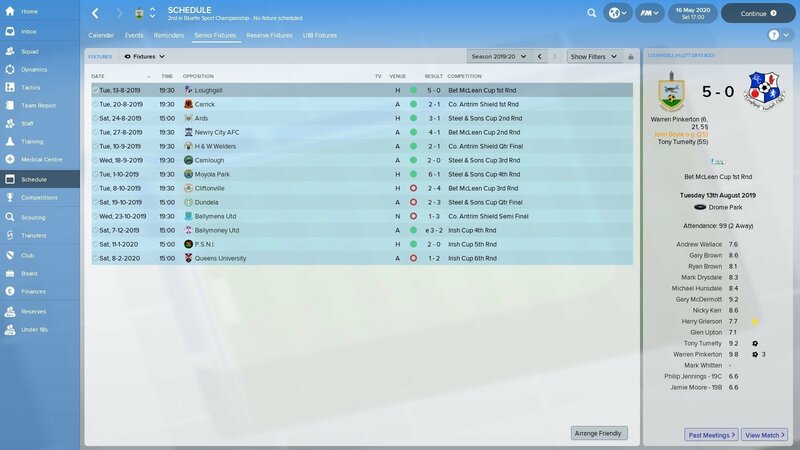 League - (Results 1 | Results 2) - What can I say - another promotion against all odds! Well done to the lads. To be honest it seems, that all teams - at least in the two divisions we have competed in - are more or less equally bad. Errors and mistakes are being made, if the least amount of pressure is being applied to players, and if you have good strikers and otherwise a decent squad, as we have, you can go a long way. 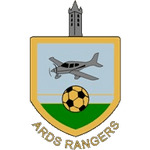 Won all games against our fierce rivals from Ards except one draw, and in the Play-off semi finals they were comfortably brushed aside. 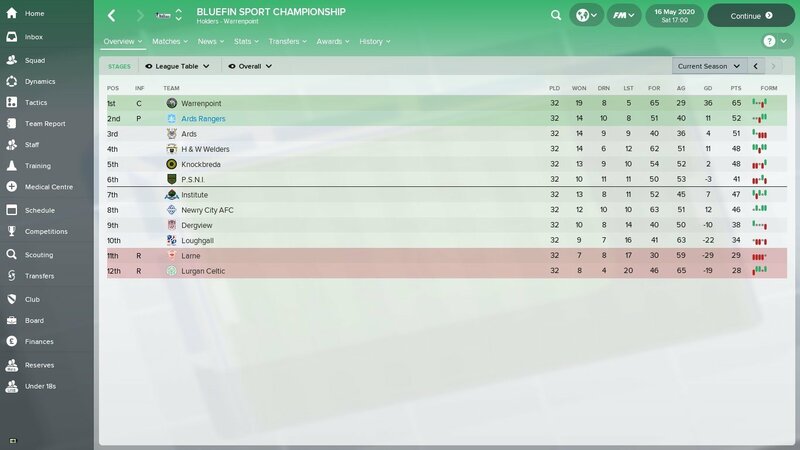 In the final we somehow managed to win at home 2-1 against Ballinamallard United and as we managed to limit the defeat to 2-3 in the away game we won promotion. Fantastic. Though, as I wrote in my last post. The next season will be extremely hard. Cups - Good cup runs. Reaching the 6th round of the Irish cup was nice, but disappointing to loose to Queens University as we beat them last season. But on the day there was no doubt about our defeat. Unfortunately, it seems, that there are close to no prize money in the cups in Northern Ireland, so no extra income here. Youth Intake - Another Golden Generation. But I suspect that is due to our current players not being fantastic. Brian Kelly looks like a real talent, and he will get some games in the coming season. Same old minimal facilities and the finances are not good. We are slowly but continuously bleeding money. Hopefully a season in the Northern Irish Premier Division will change that somewhat. 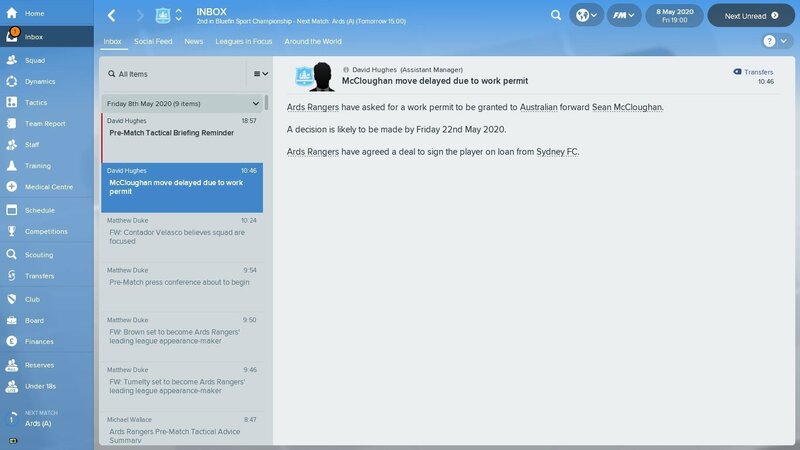 Finally I received some very strange news in my inbox while trying to win promotion in the Play-off games: it seems we have agreed a deal for Sean McCloughan from Sydney FC! I was not prepared for this, as I am certain that I have not looked to Australia for new players - or looked for new players at all. Have you ever experienced anything similar? 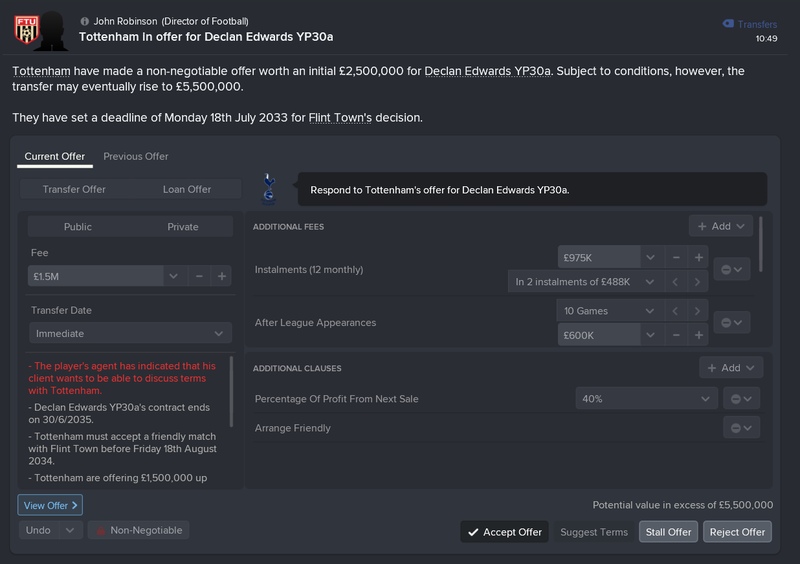 The club has no Director of Football, so I would assume, that I as a manager is responsible for all potential transfers. But apparently not. The deal will of course be cancelled, as it is against the rules of the challenge. 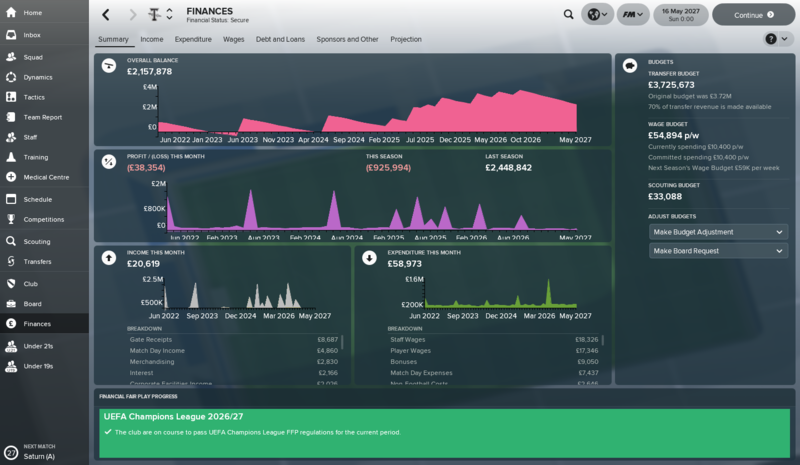 Aim for next season: Due to hopefully improved finances, get some Youth Recruitment and Youth Coaching upgrades to help me in the long run. I have no illusions of being able to avoid relegation. By the way. Very interesting to read about all the progress being made in different countries. Good work! That is weird @andershsI would check the staff responsibilities and make sure someone else didn't get set for finding new players as I believe you can have someone other than a director make offers. Also congrats on the promotion again, good luck next year and will be interesting to see if there is a huge gap in the quality with the step up. Are Sydney FC an affiliate club? Season 8 with Torpedo Moscow done. I have just joined this challenge and i have chosen IFK Trelleborg who were just promoted (December 15th 2017)from the Swedish Third Division. They share a stadium with Trelleborg so it has a decent sized capacity which may come in handy in years to come. 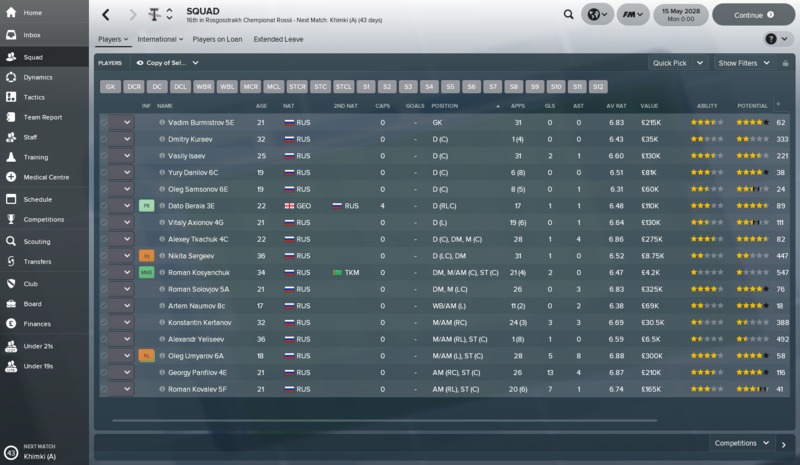 I have a okay squad, bolstered by good quality in defence and helped by three good loan players who were already on loan for the whole season when i joined. I think i should be able to avoid relegation which is the requirement from the board. I've had a decent start to the season drawing and winning my first two games. I'll be keeping things fairly simple, playing direct counter attacking football as my midfielders and forwards are not up to much. 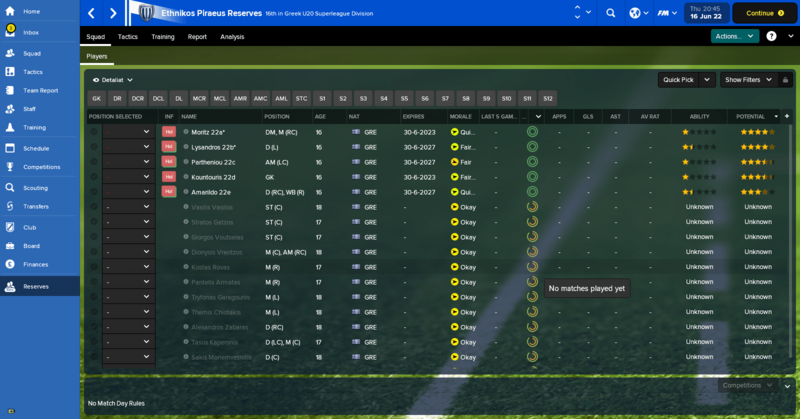 I will definitely need some good forwards and wingers from the Youth team once i lose my loan players. Update after 14 games, just over halfway through the season. I am 5 points clear of relegation, but only because i have just managed to pick up a few points recently. This is very difficult and almost every side i face plays attacking football against me. I thought my defence was strong, but only kept 1 clean sheet so far. Thankfully, i have managed to defeat or draw against the other relegation candidates. My loan striker is scoring a lot of goals, i will miss him next year. 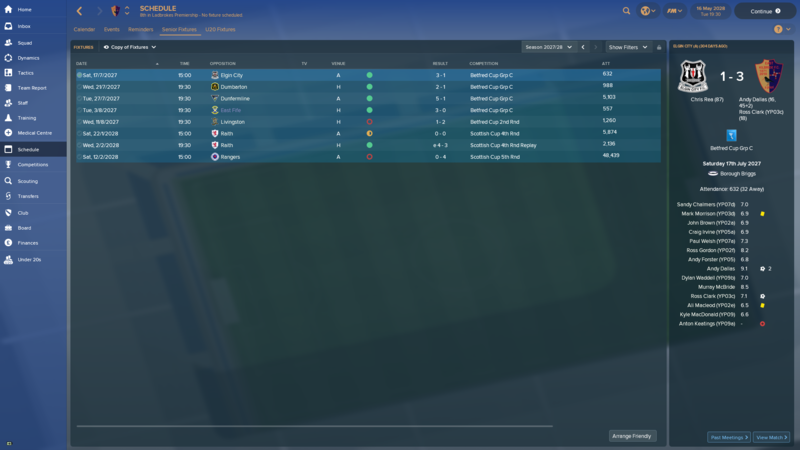 Approaching the end of my first season and i have achieved what the press says is the magical 30 points which should ensure i avoid relegation, 4 games to go now. 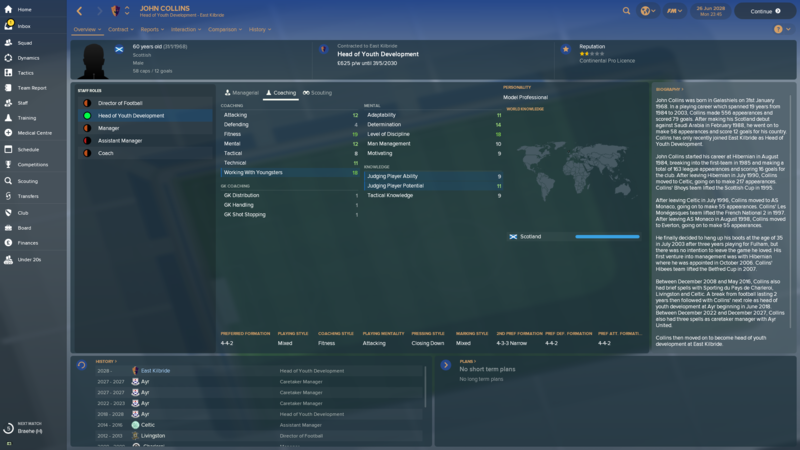 Earlier in the season i managed to get the board to make a small increase to my youth recruitment and junior coaching, taking the youth recruitment up to fairly basic. 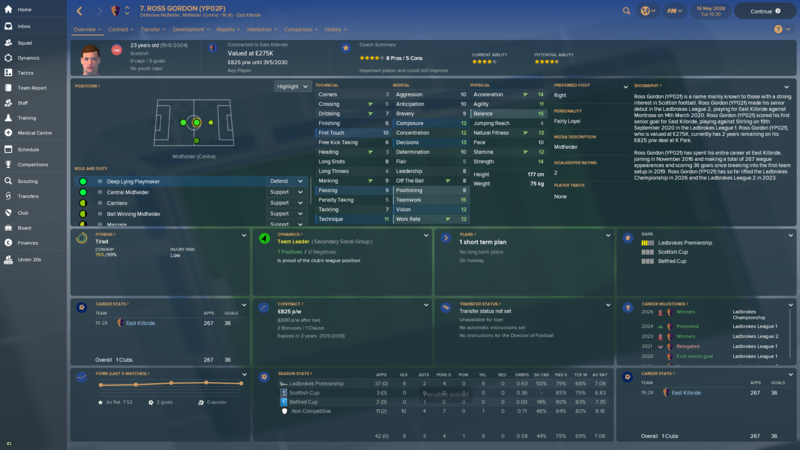 Not sure if this played a part or a complete fluke, but I've had a 5 star striker come through the youth candidates and he looks amazing. Not sure how long i will be able to keep him playing in the swedish third division mind. Max is a right beast!!!! Should bully that level of football. Hope so. I flung him straight into the first team at 16 and had a quiet first two games, perhaps feeling the pressure a bit. That said, he scored in his third game and was looking in great form but then got injured. Gave him an injection to get him through the final game as i wanted him to get more match experience. I will play him from the start next season as my lone front man so hoping for big things. 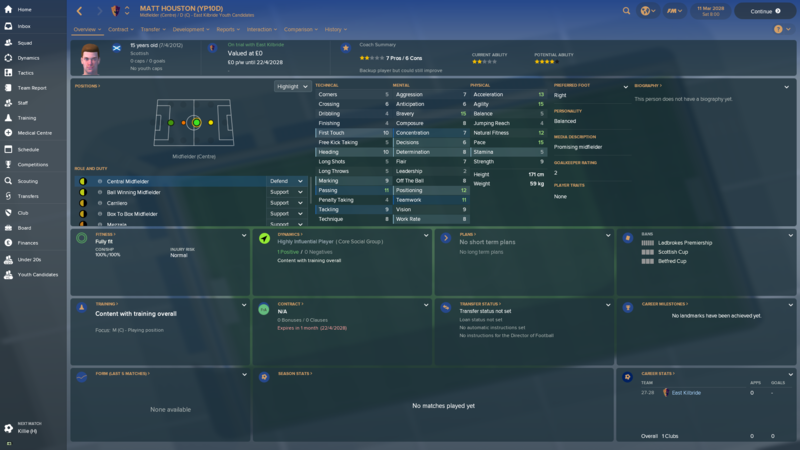 Hopefully i can keep him until the end of the season because i have no decent strikers otherwise (next best is 2 star level) and i get a nice amount of money for him which i can reinvest into better youth facilities. 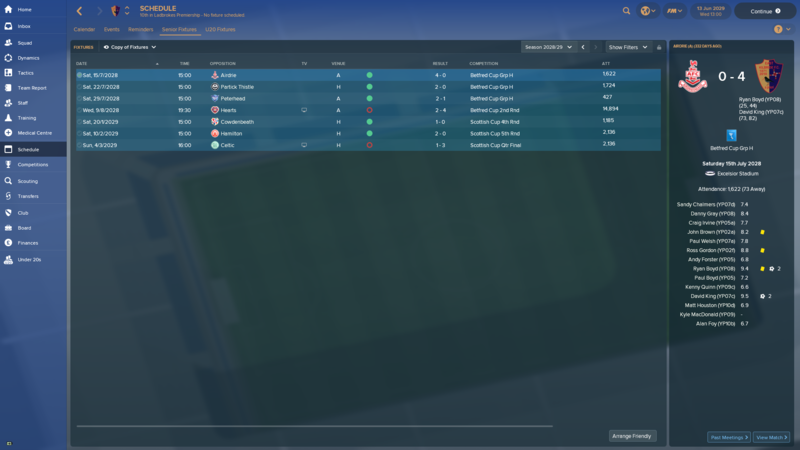 Just starting season 2 and my board now expects me to finish mid table, unfortunately my squad is now weaker than last season on the whole. Luckily i have a fairly easy start to the season playing the first two newly promoted teams in the first three games. League (6th) – Little bit of a step backwards, but overall another decent season. Our form was patchy in places, in particular towards the end. This coincided with Nikola Spajic 1d deciding he should look to move to a bigger club (no one was interested him – get on with it, mate). EURO Cup – 4th Qualifying round. We were very strong against Aberdeen, but unfortunately Lille were just too good for us. That said, we were missing two of our best players in both legs, and their only goal in the second leg was a massive deflection from a free kick. A positive first step on the continent. Serbian Cup – Runners up! Red Star swept us away in the final. Bogdan Radojkovic – Top goalscorer (28) and joint most MoM (7). Always in the right place at the right time. Vasilije Djuric – Highest average rating (7.17) and joint most MoM awards (7). Probably my best player and will still probably be a key player in 5 years time. Nikola Lakcevic – Most assists (13). Mr Consistency in terms of chances created. Transfers – Nothing major here. 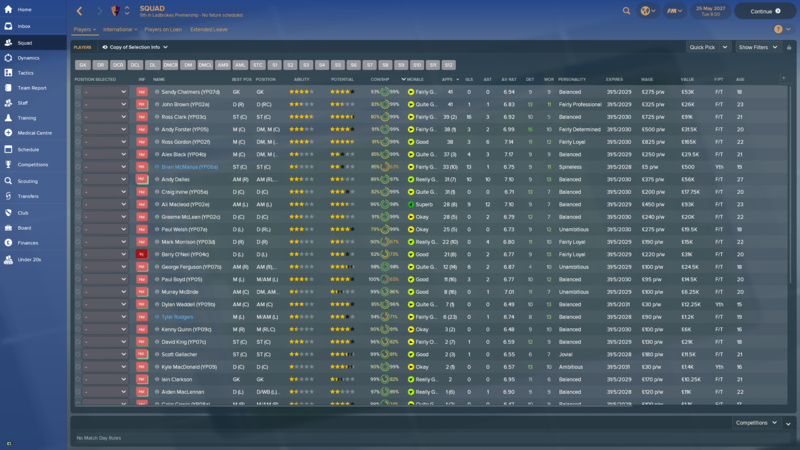 No major changes and managed to hold onto all of my good youngsters. 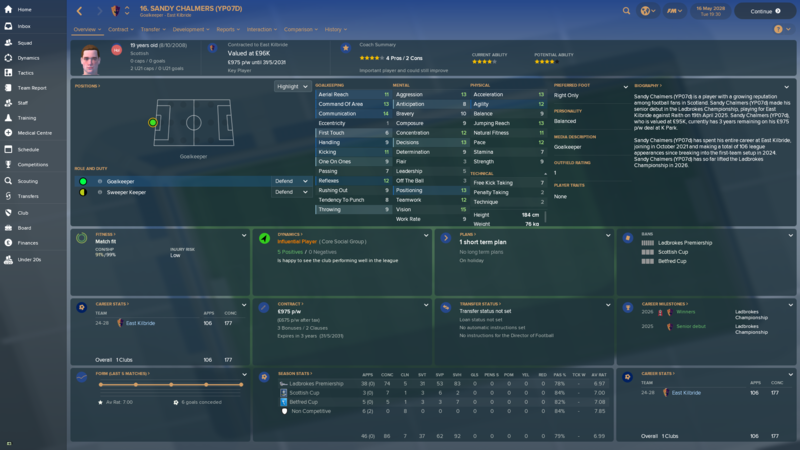 Youth Intake – Slightly better than the previous season, but still nothing spectacular. Marko Tomic 5a being the pick of the bunch. Every year we seem to get yet more right midfielders/wingers which in a few years I inevitably won’t know what to do with. 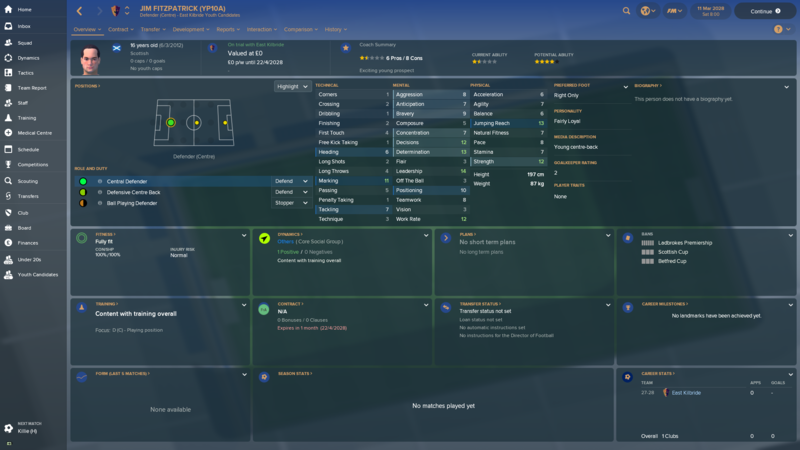 The board have granted me improvements in youth recruitment and junior coaching, so hopefully we’ll start kicking out a higher level of youth intake over the next few years. The data analysis facilities are set to be improved again, and our stadium will be extended to an all-seater capacity of a mighty 14,850. Next Season – We’ve got to try and get back into Europe. Missed out by one place this year and really enjoyed our early season exploits. Onwards and upwards! 2018/19   First League   12th	 N/A		     1st Round	     Avoided relegation on final day of season. 2020/21   First League   2nd     N/A                 1st Round       Promoted as RU. Manager of the Year RU. 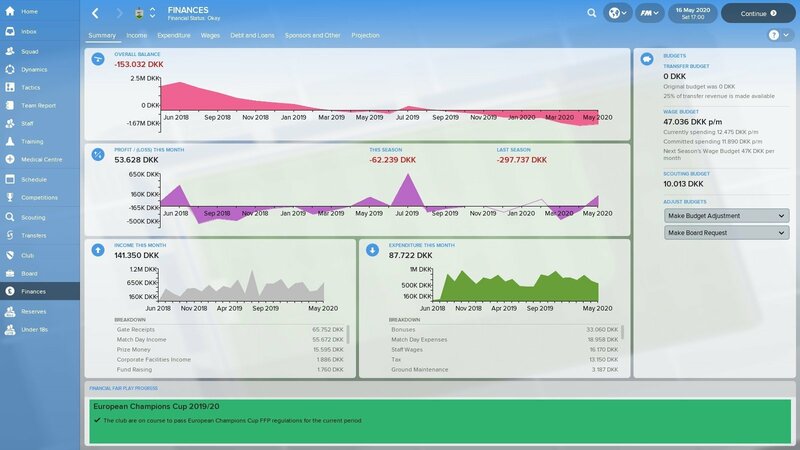 Season   Finances  Balance Sheet  Reputation  Av. Att  Capacity  Stadium  Pitch      Corporate  Train Facs. Data Analysis  Youth Facs. Jnr Coaching  Youth Rec. 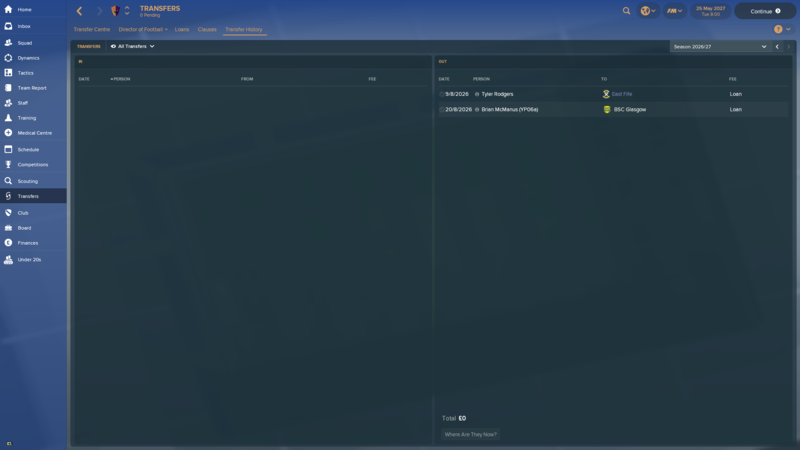 Never managed in Serbia, why is the league split into two phases? It's a little weird, basically like Scotland. You play each team twice which takes you to 30 games, then play the other 7 teams who have finished in your half of the table once. Using a 4-2-3-1 system at the minute. We usually have good possession stats but concede too many goals from us giving the ball away cheaply. I'm one season ahead and made one small change the following season. Statistically my players aren't the best passers, so I removed the instruction to "pass into space". Spoiler - it was definitely an improved performance the following season. Just over half way through the season and doing well. 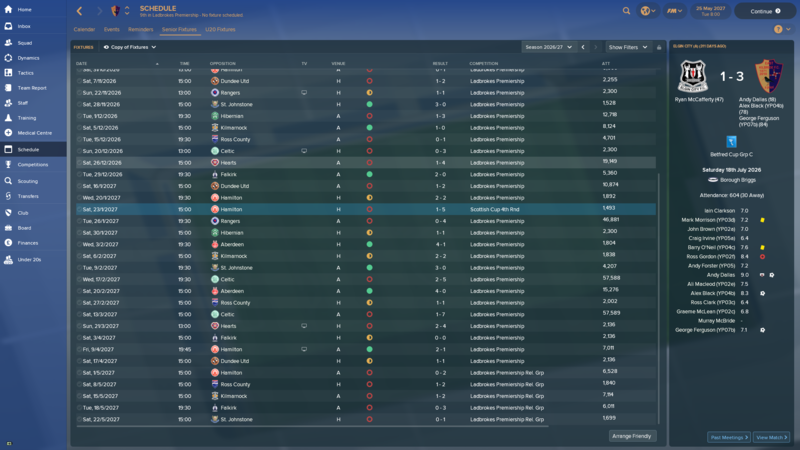 Got worried near the start after a few defeats and games without winning and was one place above relegation. Then i suddenly turned it around and am now on a unbeaten streak and morale is super high. Max Anderson had a bad start to the season, couldn't get him playing well as a target man or as an advanced forward, but making him a deep lying forward has turned his fortunes around and started my long winning streak. Max Anderson is wanted by a string of Swedish First Division (two divisions above me) clubs and since he hit form i have had to field questions from journalists about his future. I have rejected one bid of £9K already. I'll be damned if im letting him go for as little as that, i want to get as much as i can for him if and when i have to let him go. I'm now starting to play some of the my youth players as some of them may be first teamers next season due to a shortage of decent first teamers. My formation is pretty settled and I'm confident of a good season. I kind of hope i don't get promoted as my team is short of depth even for the league i am in, where as next year i may be in better shape to get promoted and stay up the following season without too much struggle. Cups - (Results) - We looked every bit the Premiership team in the group stage of the Betfred cup, winning all four games, Livingston brought us back down to earth in the 2nd round though. In the Scottish cup a good win against Raith set up an away 5th round tie against Rangers. They made easy work of us but it was worth in financially, with us receiving about 400k in gate receipts. League (Final Table | Results) - Another bruising year in the Premiership, but we grew stronger and stronger and finished well. After the first 14 or so games we had only picked up one win, and looked to be out of our depth. We had easily conceeded the most goals of any team and felt a little hopeless. A couple of back to back wins against fellow strugglers gave us some breathing space as we settled in 11th place. One win and a few draws over the next 10 games didn't ease any pressure but it was just enough to have a few points advantage over St Johnstone. With the regular season drawing to a close we finally hit some form. With such a young team, every single player had developed and we were a stronger team now. 4 wins out of 6 saw us climb the league to 8th and calm any fear of relegation. After the league split we played the 5 other struggling teams and went unbeaten winning 3 and drawing 2. Dylan Waddell (YP09b) really upped his game in these matches. Reaching 45 points this year was beyond my expectations and after the first half of the season we experienced, seemed impossible. To finish 8th feels like a really solid second season in the Premiership. Key Players - I haven't really highlighted my key players throughout the years, but after 10 seasons I thought I should pick out a few. So below are the few that are deemed to be of 'Premiership' quality and inevitably make the difference. Ross Clark (YP03c) An inconsistent player, but undoubtedly talented and the first player to really be classed as premiership quality. Sandy Chalmers (YP07d) Has made the number 1 jersey his since coming through the youth team. Has developed incredibly and as long as I can keep him he will be key. Dylan Waddell (YP09b) Had a slow start to the year but is flexible in terms of position, so got plenty of chances. He really looked good in the last few games. Will be a superstar for us I hope. In terms of depth this is the best intake we have had. 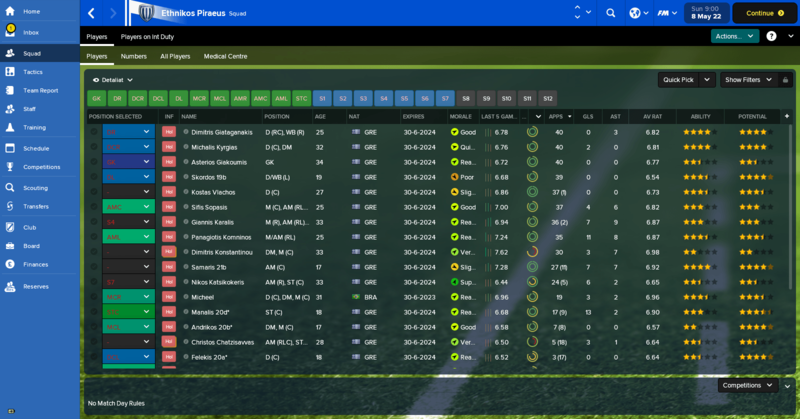 It is a massive boost to have a few good centre backs and centre mids coming through. I finally feel like we have enough talent for a few years too come. Jim Fitzpatrik (YP10a) All potential at this point but has a chance of being a key defender us in the future. I will need to see his speed improve a bit before he gets near the first team. Alan Foy (YP10b) With his stature, Alan will never be a centre back, but with a little work he could be a great defensive midfielder, a great prospect if I can improve his personality. Jordan Mackay (YP10c) A really talented player, in the mold of Dylan Waddell from last year. Stiff competition for games, but will definitely be given a chance. Matt Houston (YP10d) A mixed bag of a midfielder, probably a result of the positions he is capable of playing. He will stay in the U20 for a few seasons but has a chance if his work rate can improve. A couple of loans out to our affiliate club East fife and a couple of the more talented fringe players getting some playing time in the Championship. Apart from that not much is happening, some key players ask about moving to a bigger club but they are easily appeased. 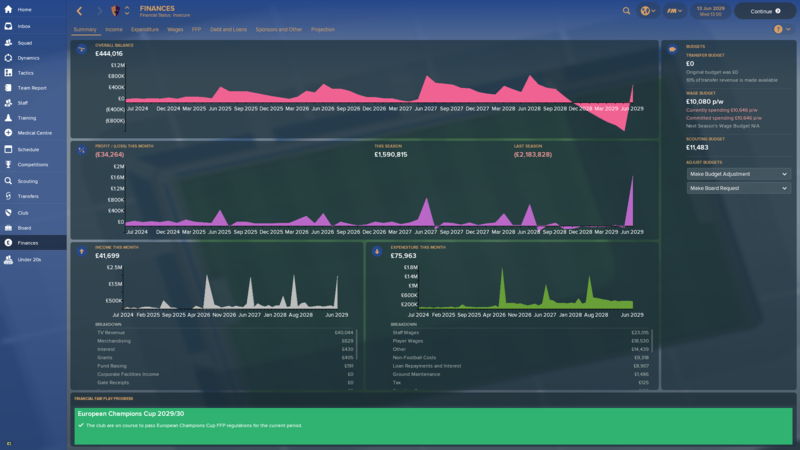 Following our 8th placed finish we received 1.8 million and quickly got youth and training facility upgraded approved. Unfortunately our youth facilities had just been downgraded. No other upgraded this year expect for my coaching badges. Following the season I replaced some of my staff and feel very pleased to have recruited a Model Professional HOYD in John Collins. It has been a long time coming but now our back room looks really strong and is just about the best in the league in all areas. @Boyd The Beast and @MWE - thanks for the replies and the kind words. I have checked the staff responsibilities, and the only thing I am not responsible for is Player Search Advise, which I really don't know the effect of. Moreover, the club has no affiliates. The transfer was cancelled because the player did not obtain a work permit, so it didn't go through. Having started life in the best Northern Irish football league, we must come to terms with us being far far below the level required. We are taking one beating after another, so this time around we will only participate in the top flight for one year. 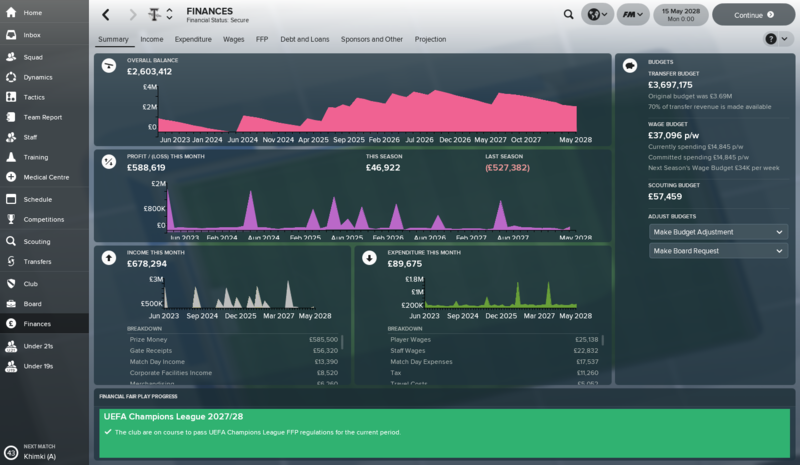 I am a bit concerned for the long term since my finances are still bad, and my chairman still will not accept any improvements to the youth coaching and recruitment. Moreover, next season I need to make sure, that we stay in the first division to stop a potential downward spiral. 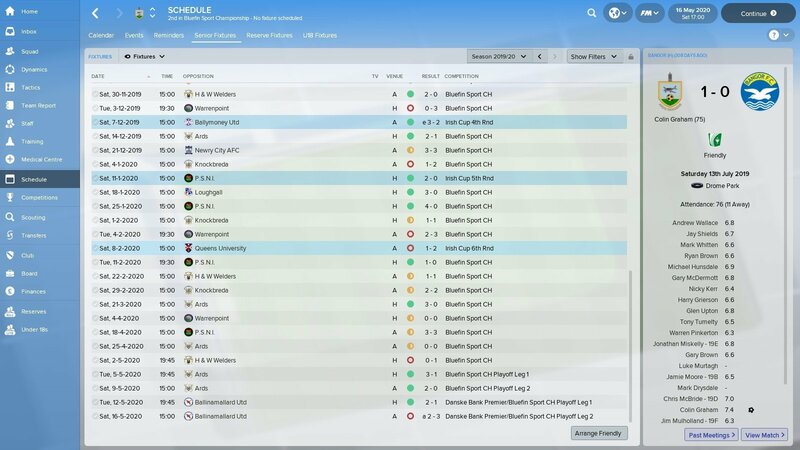 On the bright side, if I am able to keep my players through a relegation they will have gained experience from a full season in the top division, which should help me going forward and raise the level of the club. This is good, as my poor training facilities makes it hard for players to improve. Again with long term sight, I soon need one or two decent strikers in the youth intakes. My two good strikers are both fast approaching 30, and at some point in the coming seasons they will begin to decline. That will be critical if I have no decent replacements. 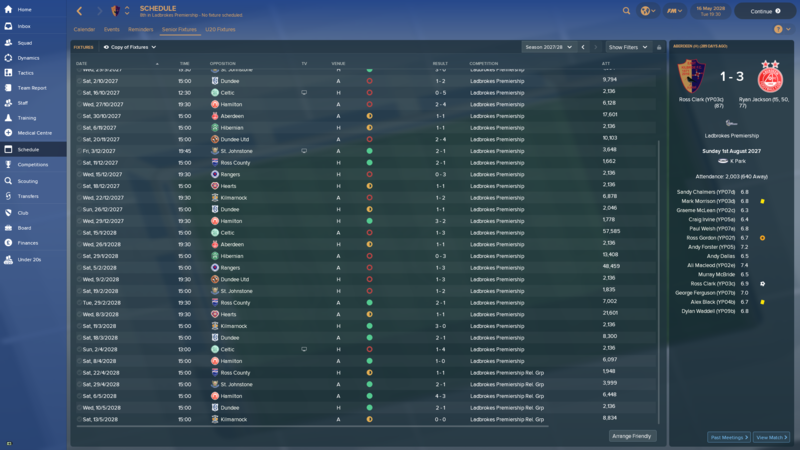 TLDR: A solid season, keeping us out trouble in Ligue 2 and giving games to plenty of youngsters. 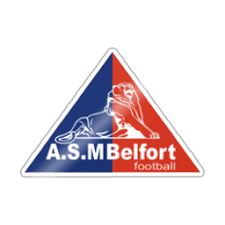 League: it was our first season in the French second tier. The first game was a solid 2-2 draw away to Bourg en Bresse, which showed me that we can compete in the league. The second game was a 0-4 home hammering by Nancy, which showed that we will struggle against the good teams. And so it continued – we were never in much danger of relegation or promotion, although we floated close to both the play-off and relegation places on occasion. In the end we actually only missed out on the playoffs by 2 points, finishing a very respectable 8th. Had we beaten Bourg en Bresse at home on the last day instead of drawing, we would have made the play-offs. French Cup: a great result beating Ligue 1 Lille 4-0 at home, before losing to Ligue 1 Angers in the 10th round. Star players: The youngster Robin David (AMR/ST) was by far and away our best player, scoring 24 and assisting 15 in 31 games. Unfortunately the star striker from last season Valade was in terrible form, so we had to rely on David for most of our goals. Youth watch: More and more of the team now consists of our youth players. We have Simone Perego 20a and Brian Mougin 20d in the center of defense, followed by the unexpectedly good Yoan Giraud at wingback, Vincent Barbier 20c in center midfield (love his determination), and the aforementioned David, who came through an intake just before I joined, up front. I think next season we will be playing with an almost exclusively youth-based team, and I hope they have some room to improve. 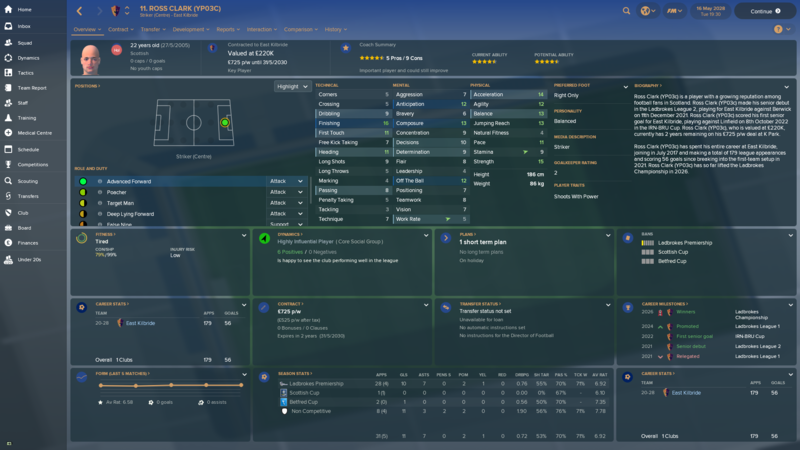 Youth intake | Alban Morales 22a (MC) | Gwenael Rao 22b (DMLC) | Loic Bourgeois 22c (AMRL/ST) | Frederic Pruvost 22d (AMR/ST). Another “golden generation” that I am very happy with. Morales should slot straight into the team in midfield once he's old enough, although there is quite a bit of competition for places there, and the others can quite soon become useful squad players, mainly in attack and midfield. Facilities: coaching, recruitment and training facilities upgraded. 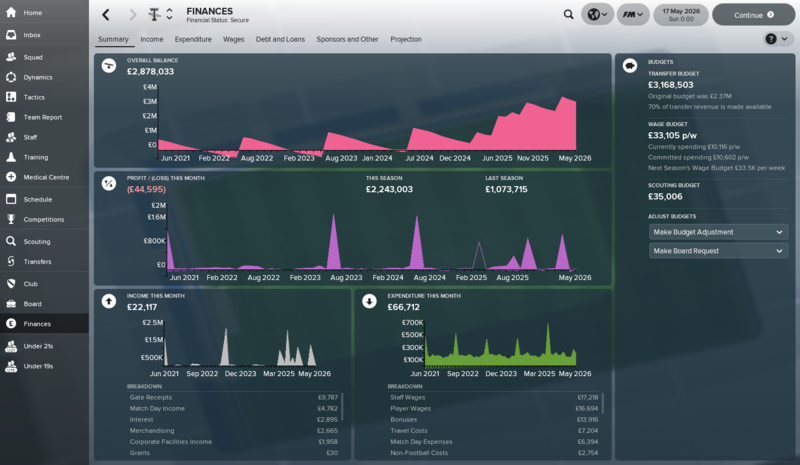 Am holding off further coaching / recruitment upgrades for now to save up for better facilities and avoid losing money. 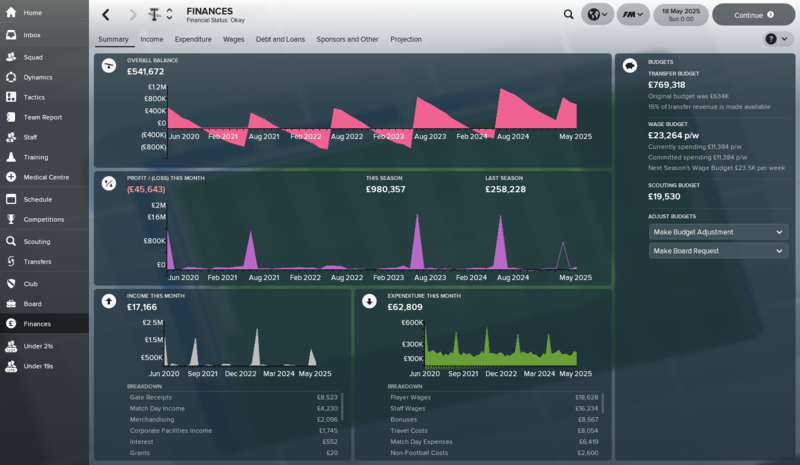 Finances: A solid 1.24m, but that’s before I fund any new facility upgrades. Transfers: keep trying to sell some of the older players, and loaned a few youngsters out. Next season’s aim: More of the same. I have quite a few youth players on my books now, so will try to figure out which ones of them can be brought into the first team, and maybe sell some that have not developed. 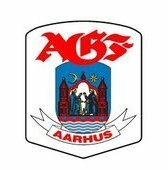 @andershs I actually had a similar thing with my board arranging a loan in from my parent club on 2-3 occasions during the last season, that I cancelled in the last minute. I don't have a DoF. 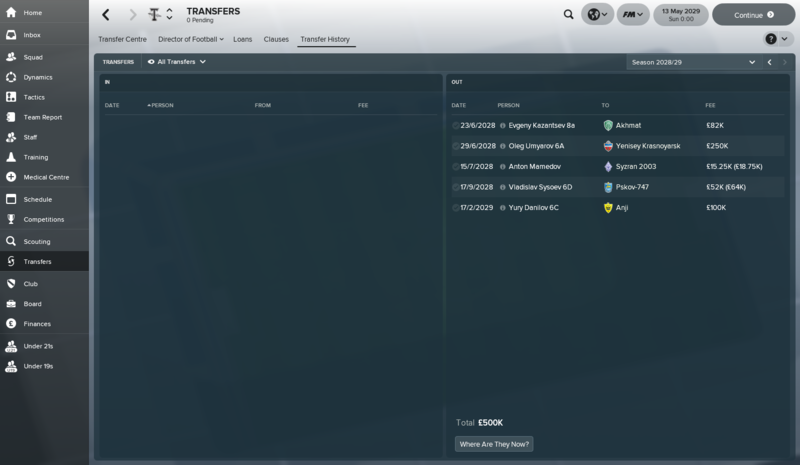 I suppose there's no harm done as long as you can cancel these transfers. Wanted to ask something - how does everyone go about giving out professional contracts? 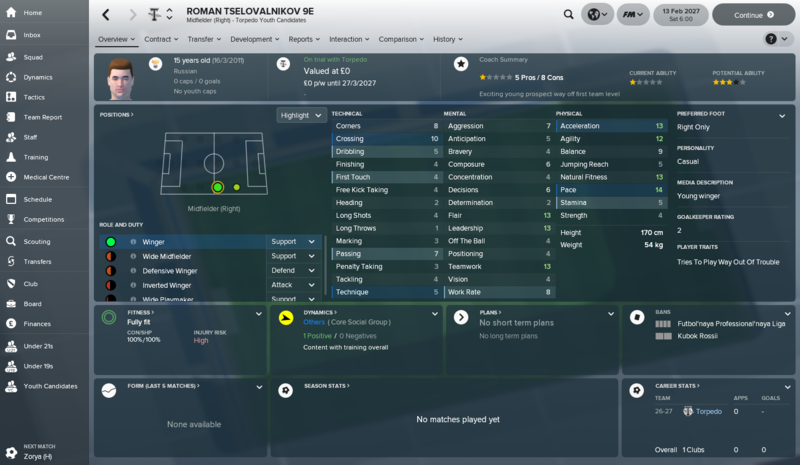 I usually try to sign most decent players on a pre-contract because I'm paranoid that bigger teams will poach my youngsters. 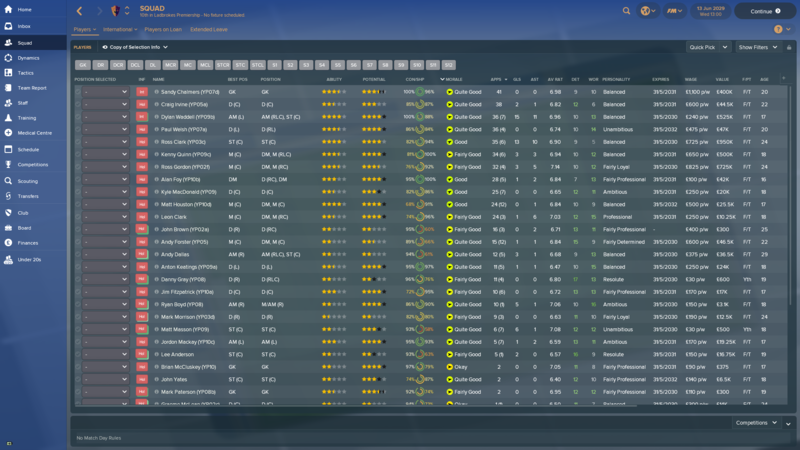 But now I have a lot of youth players on pro contracts who are not getting games, and am slightly over my wage budget. Do you usually just give out pre-contracts to the top prospects, and sign others up later? 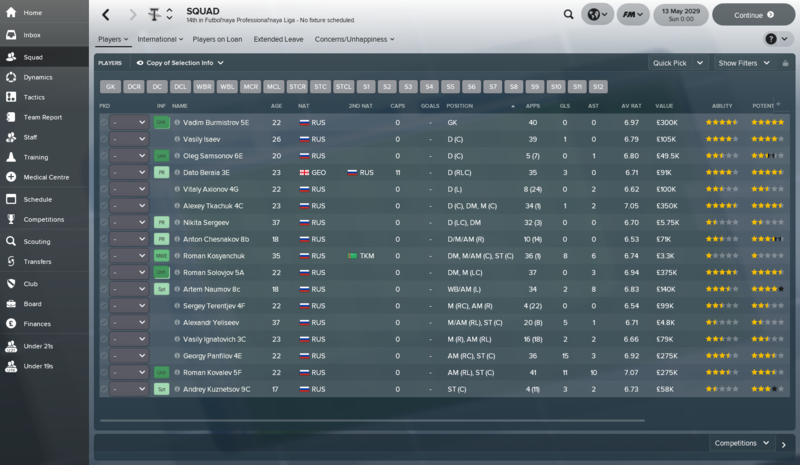 Season 9 with Torpedo Moscow done. League (4th) – I changed tactics slightly at the start of the season removing the “pass into space” instruction and it certainly helped. We only finished two places higher but delivered a much improved 70 points. Tailed off slightly once again at the back end of the season due to a few injuries having spent most of the season in second place. Critically however we’re back in Europe! Serbian Cup – Runners up again. This time being beaten by Partizan in the final. Bogdan Radojkovic – Top goalscorer (22). He also finished as the top scorer in the league. Marko Jovanovic 2b – Highest average rating (7.44) and joint most MoM awards (5) and assists (15). He even beat Nemanja Sucurovic 1a to the Young Player of the Season award. Vasilije Djuric – Joint most MoM awards (5). Mr OFK Belgrade. Pavle Radunovic – Joint most assists (15). A return to form after an average previous season. 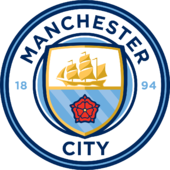 Transfers – No major exits and I think we’re now in a position to hold onto our best youth players domestically going forward. 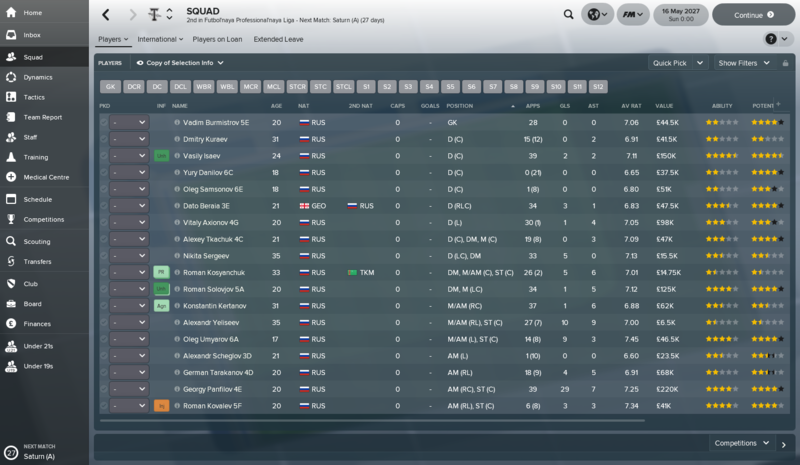 This is the first season that I’ve released several players who I’ve considered to be good squad players for us. We just need to move on and blood the promising youngsters we now have coming through. 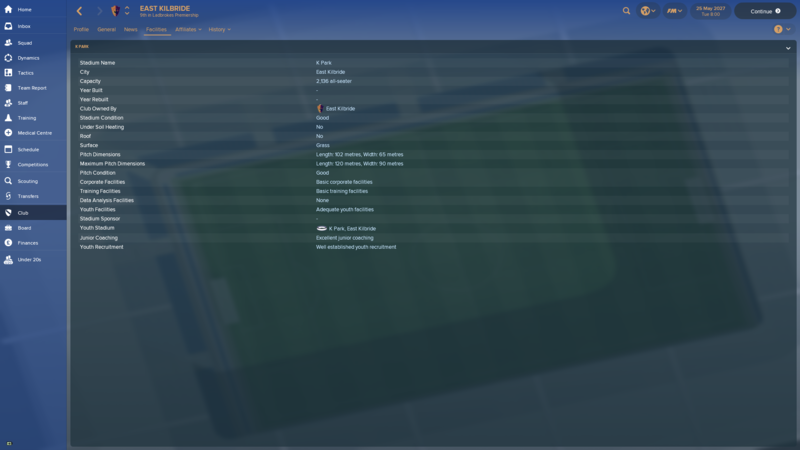 Other – My manager now has his Continental Pro licence, and stats wise is looking pretty good. 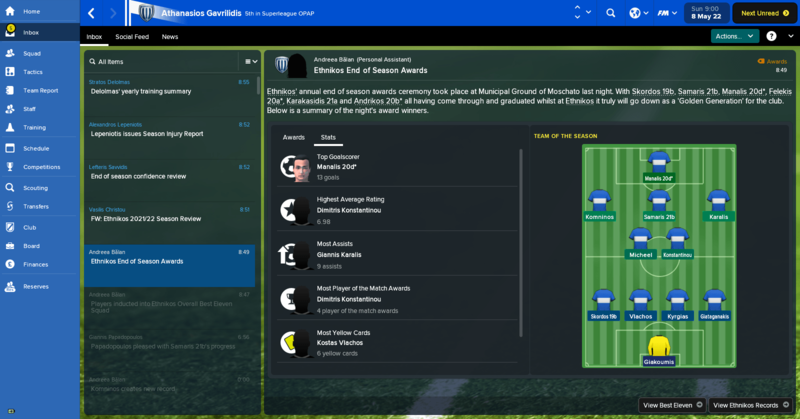 I also won the FA Manager of the Season, and Manager of the Season awards. I'll be honest I'm not sure on the difference. The board granted me improvements in youth recruitment and junior coaching taking them to the top level possible. Let’s build a dynasty! Next Season – I’d like us to push on and try and get a Champions League place. We were in second place for most of the season this time round but fell away late on due to too many injuries. When we’re at the races I’d fancy us to beat most teams in the league other than the three above us. The main concern at the minute however is that although we’ve closed the gap on Red Star, Partizan just look too good for everyone else, and at one stage looked like they’d get through the entire season unbeaten. Nemanja Sucurovic 1a has been immense for them, so I’m hoping someone comes in for him soon as that will inevitably make them weaker – plus we have a sell on clause associated with him. 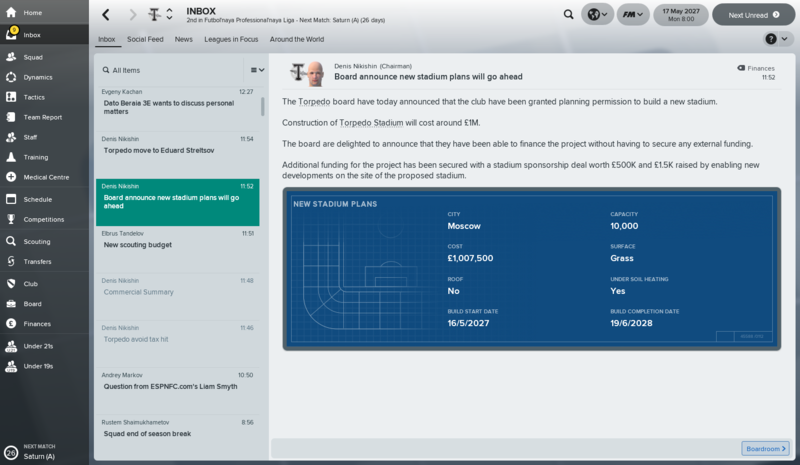 Season 10 with Torpedo Moscow done. I forgot to post my end of season update, I had a good season finishing 6th. Each year so far i have finished one place higher than before. 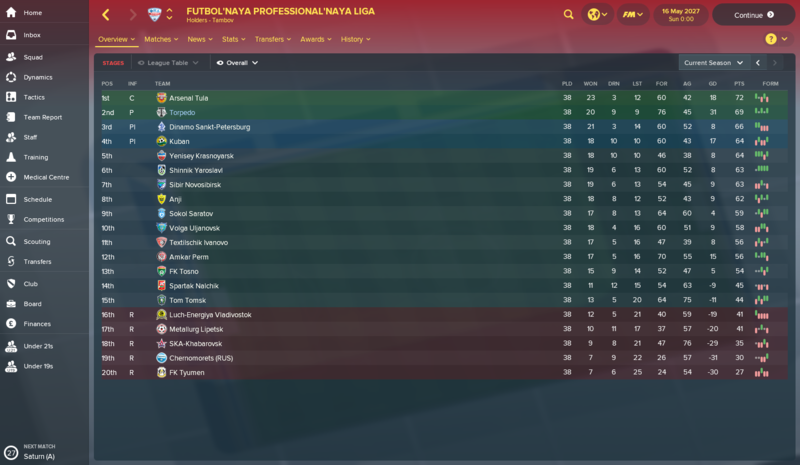 I was actually in first position after around 16 games but went on a bad run after packing the first team with youth players and lost form and didn't recover until picking up some points near the end of the season. 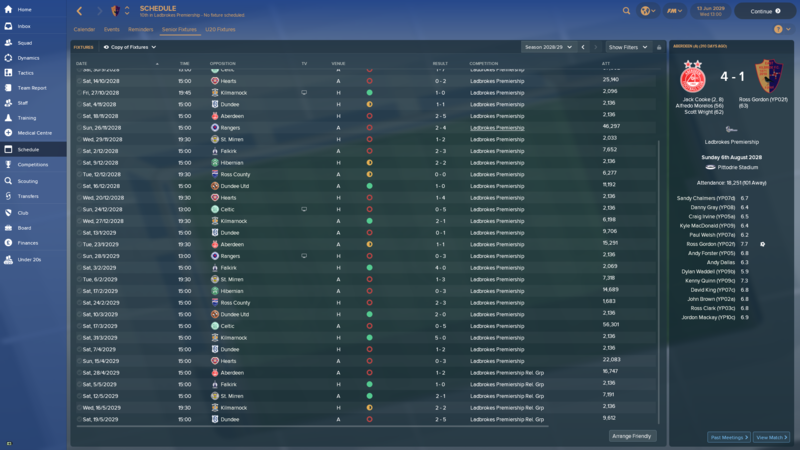 The board expects me to finish in the playoff places this year so i need to finish 2nd or get promoted. A tough ask as you will see looking at my squad ability below, but i think it's possible if my best players stay injury free. I gave some of my best youth prospects a lot of first team football last year so three of them can be first teamers this year, hopefully that pays off. The biggest problem i have is finances. 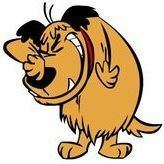 I am 60% below my wage budget but losing £100,000 a year. 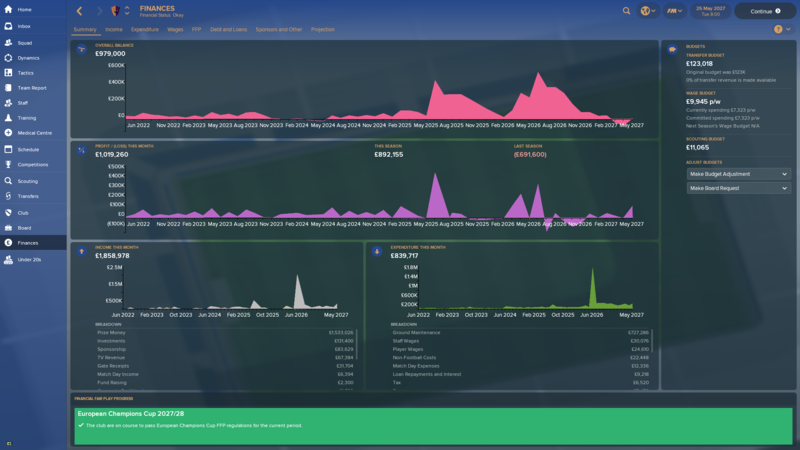 My home attendances are 100 or so and my finances are insecure and I'm almost £300K in debt. Not sure what is going to happen long term, hopefully the board make an investment at some point. Does anyone know what happens in this scenario? 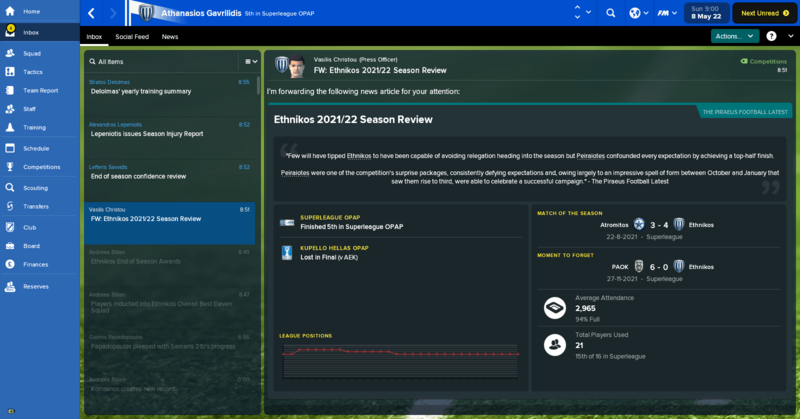 My career with Etnikos is finished. Good luck to all those of you still hanging in there. 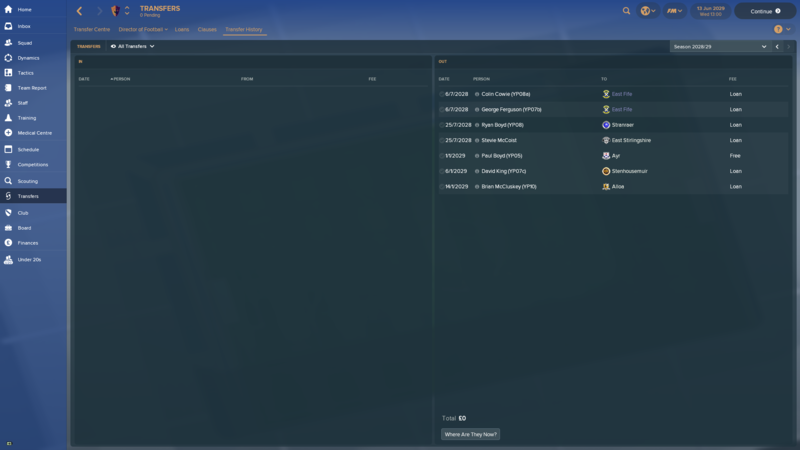 So I've not really touched FM for past 2/3 months, have been ill pretty much all of 2018 so far (nothing serious, just lots of sickness) plus some other stuff going on and not really connecting with FM this year, but I've recently started to get the itch back to play and where else am I gonna go than this challenge? 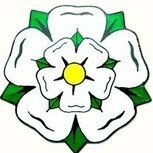 Have had a skim read of recent pages and congrats to all, if I've missed anyone completing the challenge than let me know and link me to the post. 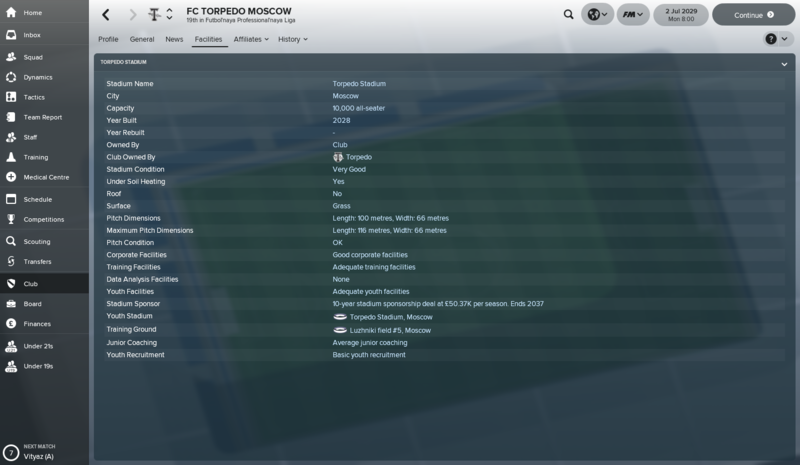 Season 11 with Torpedo Moscow done. 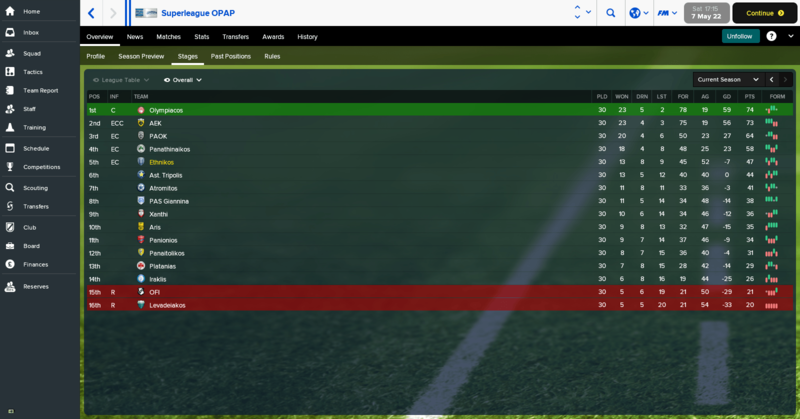 I achieved promotion and won the league, was a great season. The board expected me to finish 2nd, not necessarily get promoted. I had promised Max Anderson (star youth) promotion this season in order to keep his services so that is good. I can at least keep him for now. I have some decent youth players in my U19's and so next season i will be playing with 60%+ youth players and only my best original players from 4 seasons ago will remain. Cups - (Results) - A comfortable passage through the group stage of the Betfred cup, only to be dumped out by Hearts in the second round. A couple of wins in the Scottish cup set up a home tie in the quarter final against Celtic. We actually created a good number of chances, but their quality is so far beyond mine they ran out comfortable winners in the end. League (Final Table | Results) - A disappointing season this year and a wake up call for how far away this team is away from long term success. We struggled with the amount of goals we conceded this year, in the first 4 games we had shipped 14 goals. Kilmarnock were woeful this season and so despite our poor form we never had any real worries. I committed to playing my best youth prospects after I realised we were not going to make much progress. I hope this pays of for next year. We now have a set of great midfielders and a couple of good options on the wings. In the end we finished 10th. We had 9 points less than last year and conceded about 15 more goals. A disappointing intake this year, although the overall personality make up is much better. I had a look at the top couple of players and didn't see much I liked so I gave my 'A' tag to a player further down the list who I think has a chance. I forgot to screenshot Kieran Young (YP11b), he is refusing tutoring and so I don't have much hope for him. Kyle Fraser (YP11a) With his personality and starting attributes he may have a good chance. He will be in the U20s for season though. Any transfer bids coming in have been easily rebuffed and players seeking bigger clubs have been dissuaded by senior players, so my squad is still intact. I released a few fringe players who were great a few years ago but now just eat up the wage bill. We are going to be in serious financial problems unless we reach Europe soon. Our 2136 capacity ground cannot bring in enough money. My wage bill has been reduced again this year and sits at 10K a week, which is pathetic as we are going into our 4th year in the Premiership. I can see us losing our best staff and players unless something positive happens this season. With this in mind no more facility upgrades for a while. 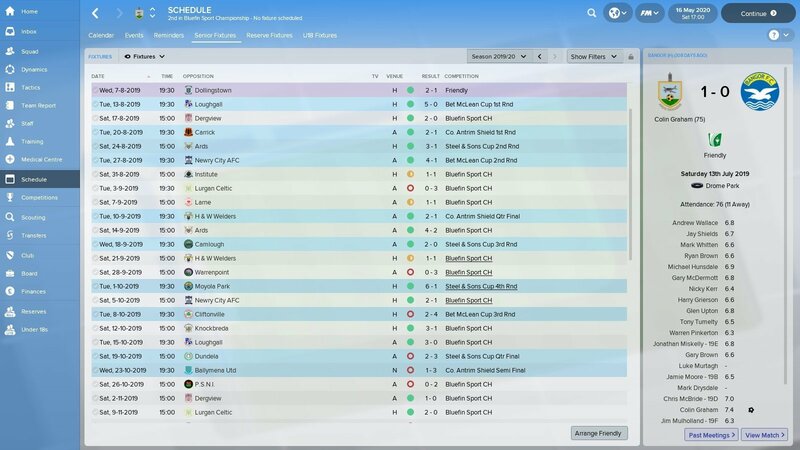 League (Fixtures 1 | Fixtures 2 | Cup) - Despite my first gloomy report about life in the Northern Irish top tier, we managed to survive in the end. A very respectable 9th place is fantastic given the level of players available. We managed to put together a string of back to back wins after our poor start. That lifted us to midtable safety where we lingered for the rest of the season. Rest of the season we managed to get a win every few games and draw otherwise. At one point we only two points from the 6th place with one game to go before the league was split between 6th and 7th. We ended in the relegation stage. In the end we seemed to loose a bit of pace. The players must have been tired. But I have seldom seen such a shift. Suddenly the pre-game odds were stacked against us, we couldn't score on any of our chances if our lives depended on it and the opponents created an obscene amount of chances against us. In the Irish Cup, we managed to eliminate Crusaders and Cliftonville, which is a fine acchievement. Otherwise nothing to note. Our team is still decent. Regens Jamie Moore and Philip Jennings have improved remarkably by being subjected to better oppositions. Brian Kelly is also showing some promise. Finally a screenshot of our top goal scorer each season, Warren Pinkerton. No injuries, please. But this season still cannot hide the fact, that we overacchieved massively, and we need some Youth Recruitment and Coaching upgrades going forward, if we are to compete at this level in the long run. Otherwise, our regens simply haven't got the needed Potential Ability and with our training facilities, improving on their current level is very slow. 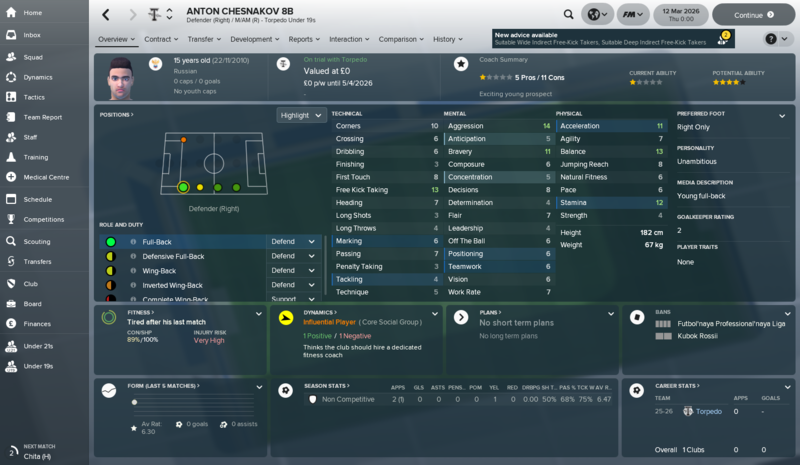 Youth Intake - A decent youth intake. And I finally got a promising looking striker. Meet Joseph Kelly. He will take over from my strikers in the coming seasons. Aim for next season - Survive again in the Danske Bank Premiership. Wishfull thinking, get a cash injection from a takeover. Got a bit tired of playing in Hungary and with the new patch out, I figured I'd start over once again. This time in Slovenia Slovakia (I'm going to keep getting this wrong...). Loading up the game now. 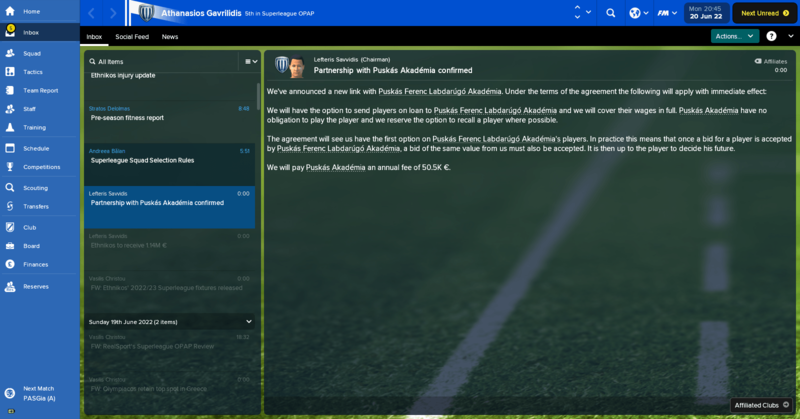 Edit: Took over MFK Dubnica and looking to start now. Oh, and there's already two transfers agreed. 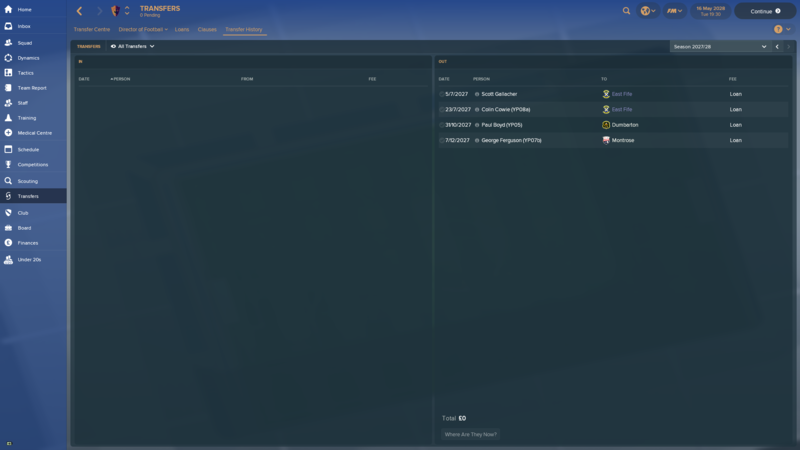 Who else is doing an england save? * - Already arranged transfers. I was unsure what to expect from this team, but the media had them at mid-table, so I had hopes of avoiding a relegation scrap. It turns out we are quite good. Though Šamorín ran away quite early, we were part of the pack fighting for the playoff spot behind them along Nové Mesto and Sereď. Towards the end of the season we had a rather poor run and let Nové Mesto ran a bit away from us. In the end we won a couple of matches and crept closer, but still ended a point behind them. 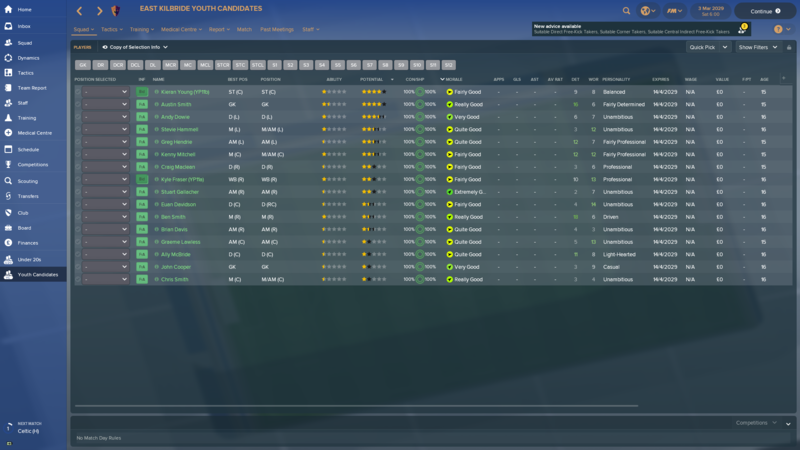 I'm really pleased with the team this season and I think we have a chance for promotion when a couple of the youth players get another year, and maybe we can get in some more talents for the next youth intake. In the Slovenský Pohár we failed in the 1st round as we lost away to Inter Bratislava. I got a coaching badge, but since we are losing money rapidly I haven't got improvements accepted. Though I have gotten the youth philosophy into the club. 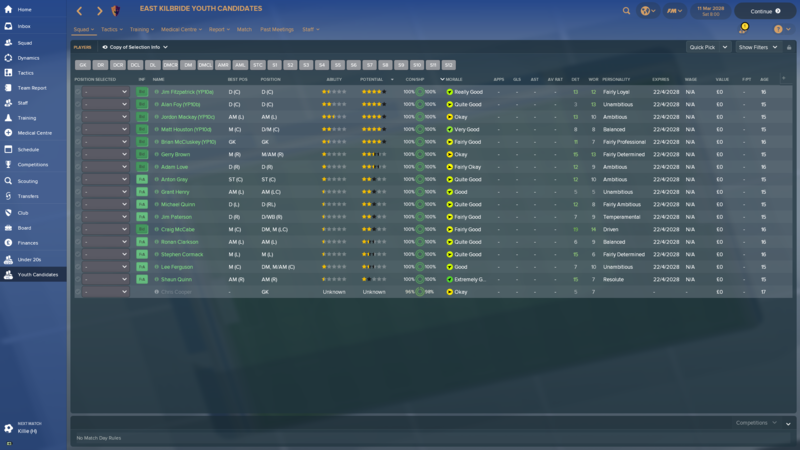 The youth intake this season was quite good. The best of the bunch seems to be Lubomir Mazan 19a, a very good defensive midfielder. The other noticeable player is Matej Oravec 19b, a towering defender.